As a Diplomate of the American Chiropractic Board of Sports Physicians, Dr. Ben has specialized training in the use of diagnostic tests to identify the specific nature of your condition and develop an appropriate treatment based on the outcomes of orthopedic testing. These tests may also identify the need for further imaging such as X ray, or MRI at which time the appropriate referral will be made. Dr. Ben can make these referrals for you to a local convenient imaging center. 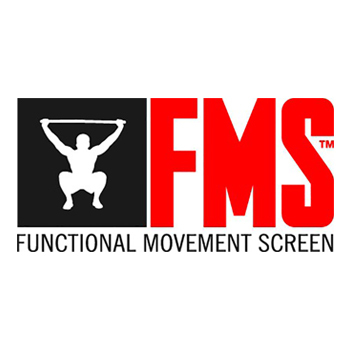 The FMS is the screening tool used to identify limitations or asymmetries in seven fundamental movement patterns that are key to functional movement quality in individuals with no current pain complaint or known musculoskeletal injury. The SFMA is a movement based diagnostic system which systematically finds the cause of pain - not just the source - by logically breaking down dysfunctional movement patterns in a structured, repeatable assessment. ALINEs are the world’s most advanced performance insoles, providing alignment, comfort, and balance. The ALINE Active insole is designed for high performance and durability. The visible technology aligns and enables your lower body. The are designed for walking, running, hiking, and exercising and can be worn in your daily shoes or your athletic shoes. All schools in Oregon City require a OSAA sports physical prior to participation. These physicals can be performed by licensed Chiropractic Physicians and are designed to screen youth athletes for conditions that may limit their ability to participate in extracurricular sports safely, and look for conditions that may silent until provoked by intense exercise. Sports physicals are non-invasive easy to perform in under 30 minutes. Required at least every two years for those in grades 7 through 12. ACL injuries are extremely common in the world of sport. Would you want to know if your in a higher risk category to tear yours? Evaluating and grading a series of your movement patterns will determine if you are at a greater risk of ACL injury. Neuromuscular rehab has been shown to improve these faulty patterns minimizing the risk of ACL injury.